1. Move all the task(s) from a Story to the Completed lane there you can view Archive this story tag. 1. Move the User Story to the Completed lane directly from there you can view Archive this story tag. 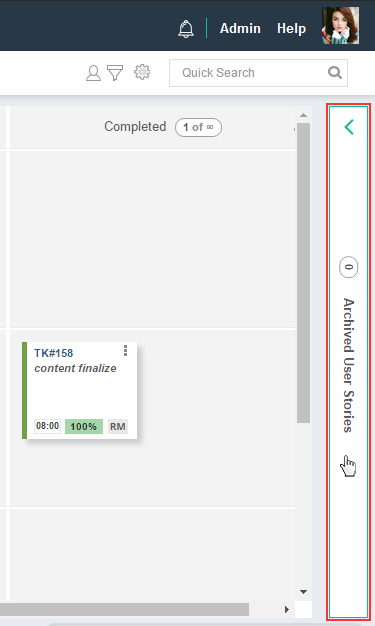 Once you click on Archive this story tag, all your archived user stories will be moved to Archived User Stories section.